It’s often reported that U.S. companies are sitting on piles of cash a la Scrooge McDuck. Some journalists point to the amount of cash U.S. companies have parked abroad comparing it to the paltry amount they have here in the U.S. Others report that companies simply don’t want to invest in America. But actually looking at the details of cash and investment reveals a different picture. 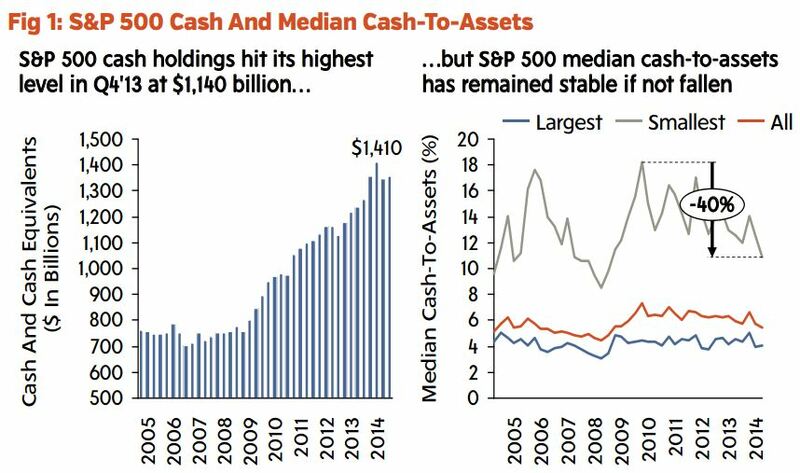 The following analysis looks at cash holdings among the S&P 500 and how that compares to balance sheet growth. We also look at U.S. investment and discuss how that might change with a shift in Fed policy.